insufficient to the task at hand. *To the Moose! 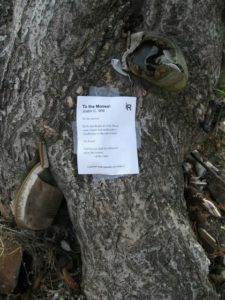 was a poem published by Baltimore is Reads as an "Outdoor Publishing Project" in 2009, with thousands of copies pasted into place across multiple cities in public and at random.